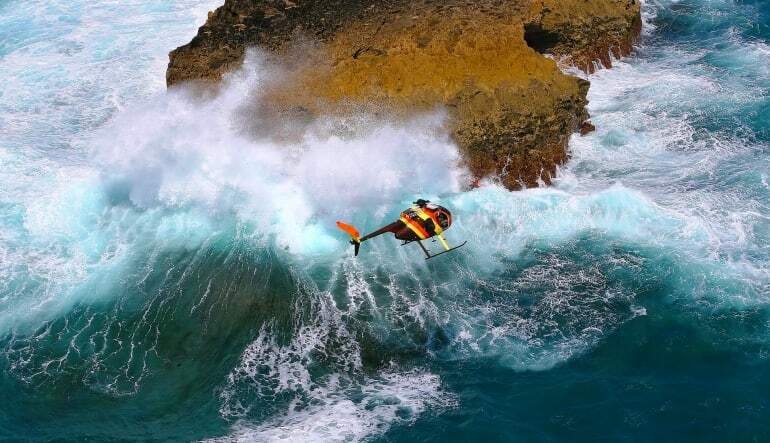 Go offshore and hover above the Pacific, see Pearl Harbour, get views of the North Shore, waterfalls, Waikiki and more! 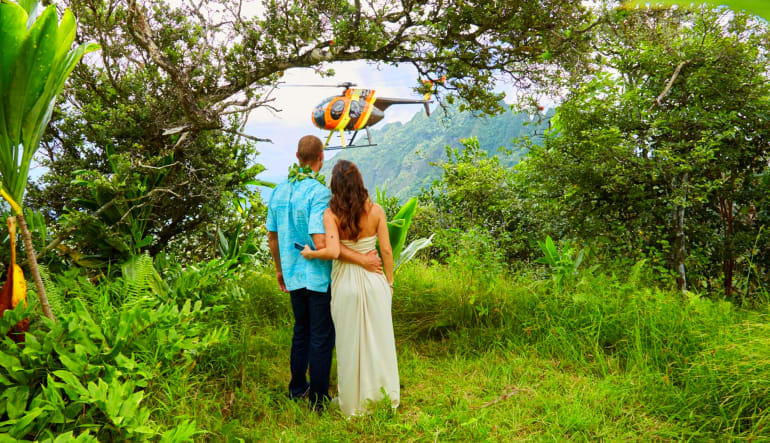 On this Hawaiian helicopter tour, Oahu offers up a ridiculous amount of scenery. Hawaii’s most populated island brims with history, heavenly vistas and a whole lot of pop-culture signposts. Take off from Turtle Bay Resort in North Shore. 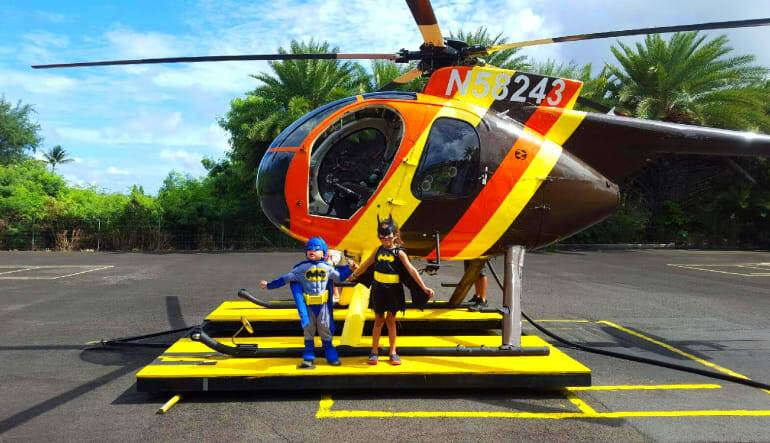 Travel in an MD500 Helicopter—a perfect replicate of the chopper from Magnim P.I.! Follow the route made famous by the iconic show’s opening sequence. Travel above North Shore, a world-class surfing mecca. Get a bird’s eye view of Pearl Harbour! Next, it’s on to Diamond Head, a volcanic cone that takes over the landscape. Continue to Sacred Falls with its beautiful streams and cascading cliff sides, accessible only by chopper! Soar on over to Waikiki and its pristine beachfront properties. Swoop down for a low level flight over the Pacific! The hour-long ride gives every passenger window seating, ensuring you see it all! Take advantage of the photo opportunities and dig the retro ‘80s vibe! 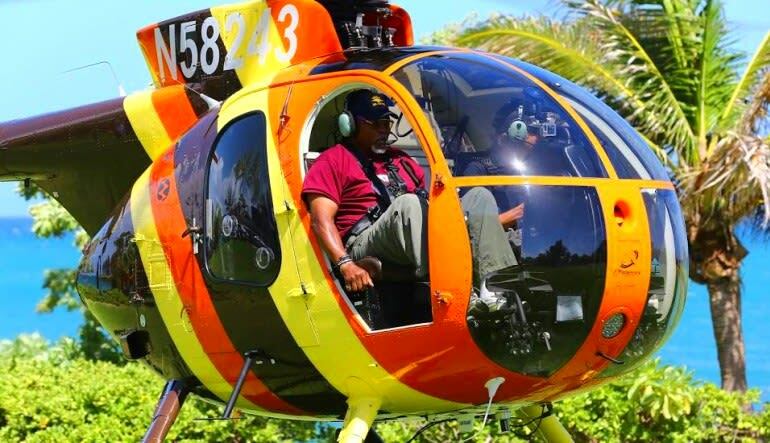 Carson was a great helicopter pilot. He was knowledgeable and easy to have dialogue with. We would book this trip 10/10 times!! Thank you!